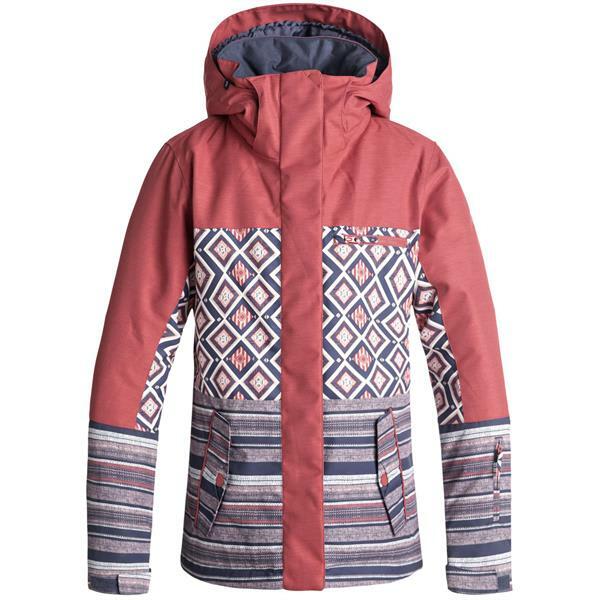 This insulated Roxy jacket is perfect for a day spent shredding snowy slopes, whether on skis or a snowboard. Roxy DryFlight® Technology helps you stay dry, while Warmflight® insulation makes sure that you stay warm in super chilly temperatures. The hood adjusts to fit your head and is also removable. 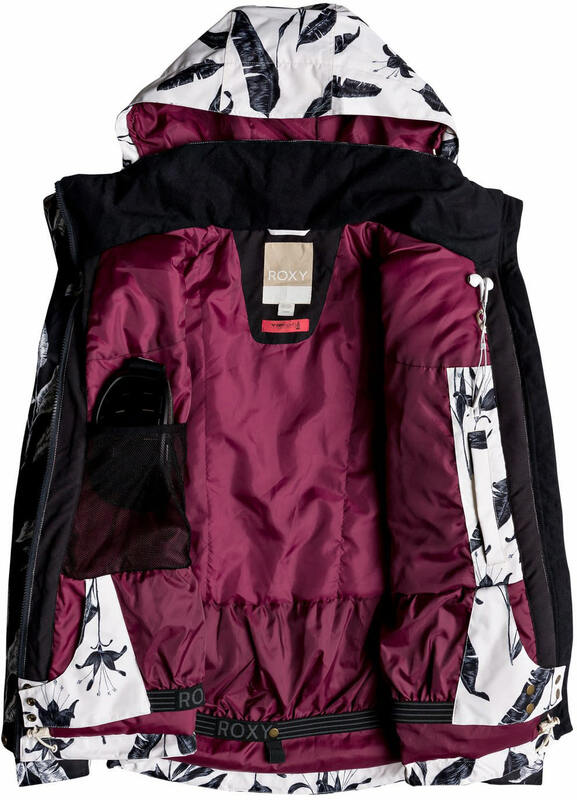 Jacket-pant connections and a powder skirt are ideal for winter sports, and underarm ventilation provides airflow during intense activity. 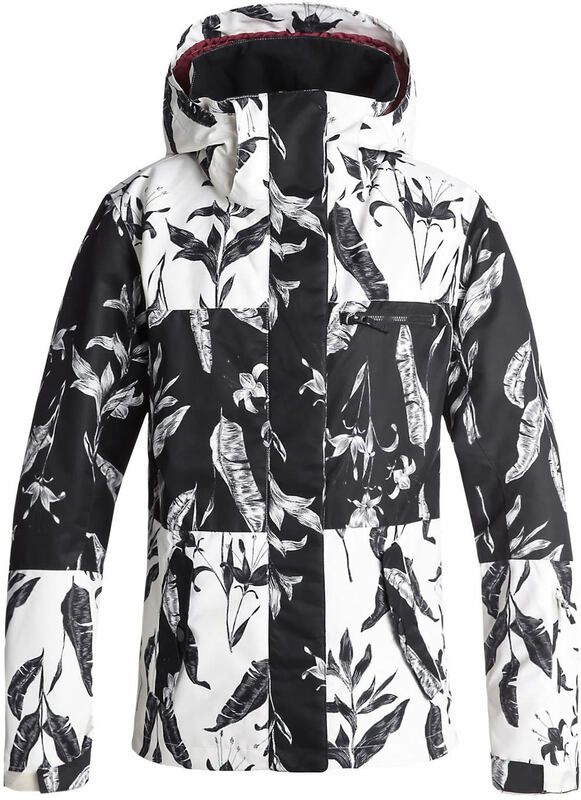 With additional features such as a key clip, an internal goggle pocket, and chin guard, this jacket has everything you could ever need to make your next trip to the slopes one worth remembering. 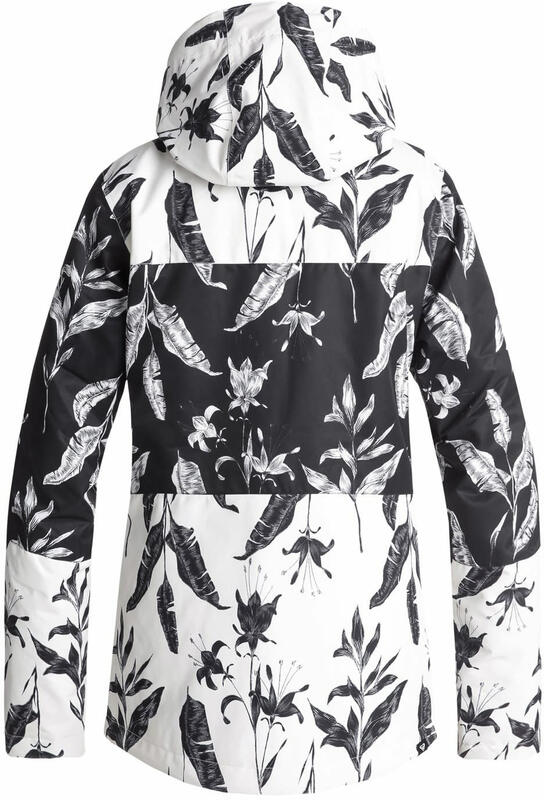 Look good and stay warm, n the 2019 Roxy Jetty Block Women's Snowboard Jacket.